My PC is fried nowadays so I downloaded EU-IV on my mac. But the problem is that when I open the game, the mouse starts acting weirdly. Clicking on Single player opens the "About" screen. Clicking on buttons specifically doesn't get recognised at all. If I switch it to windowed view, Clicks work fine. Switching back to Full Screen, it starts messing up again. I have never faced this issue on my PC. Make sure game resolution is same as Mac's. Switch to Windowed mode and then back to fullscreen. Neither of these work for me. My resolution is correct and switching back and forth doesn't work either. This does not happen in other games, not even in Crusader Kings 2 which is from the same Studio and shares the same engine with EU-IV. Anyone's got any idea how to fix this? I figured it out. 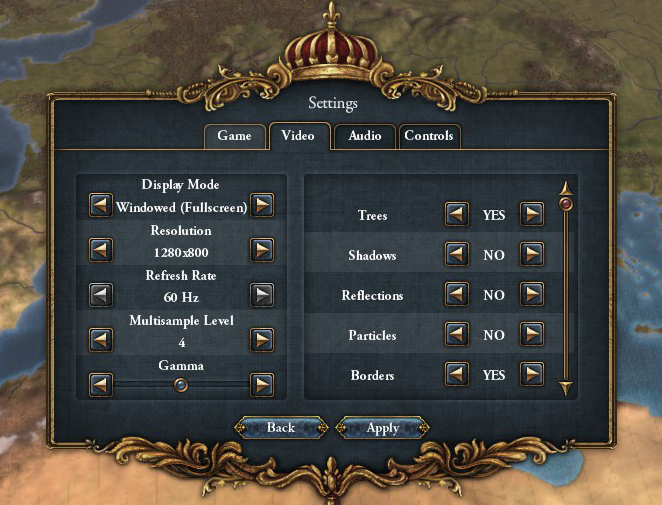 In the video settings for the game, there is a third mode called "Windowed (Fullscreen). Set the mode to that, and restart. Then set the mode to "Fullscreen", restart again. It will start working. Not the answer you're looking for? 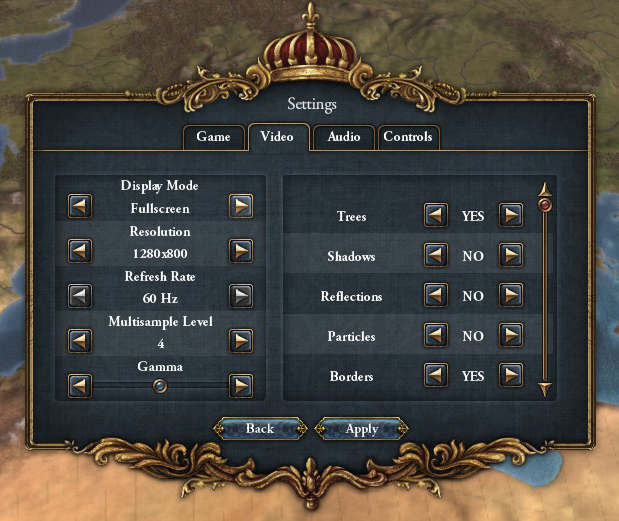 Browse other questions tagged steam europa-universalis-4 or ask your own question. Why does Steam not sell the Mac versions of all games? What can cause a Steam Game to not properly register achievements?